"We" are starting to think more April 13-15. What do you think the flow will be ? Somewhere between 4K and 40K. Best learning flow is maybe 10-12K, but we've run it between 7 and 30K. Although snow pack is relevant, as is rain, it mostly depends on air temperature, so we won't have a clue until roughly two week prior. Have no fear! All will definitely turn out well! Probably! 3 months to go; keep the updates coming. It appears that April 13-15 is a definite no-go. So some dates other than these dates. Probably. For definitely. Also, to possibly break the voting tie for this year's theme song, the following option has been added. Just left the store and spotted a case of water called Smart water. Maybe we bring a case or two just for backup. Don’t forget the rock softener and maybe the rapid flattener. In the soap department they have water softener also. So maybe pour a few bottles on the slide. Woo hoo! Only 2 months or so to go! Based on potential trouble spots from prior runs, here are some videos. Insane speed and power are not required. There's simply the technical difficult of making the turn immediately after the climb. Too much speed on the climb makes the turn difficult. On my first couple of runs I was "completely surprised" only at "half-and-half" rapid. At 11 K there's definitely a rock you can overlook. Note the giant blob rock and sandy beach above it as a visual reference. Here's the view from upstream. Due to low water, the sleeper is super obvious (top is dry) at 1:45. Pine Bar is a difficult read. 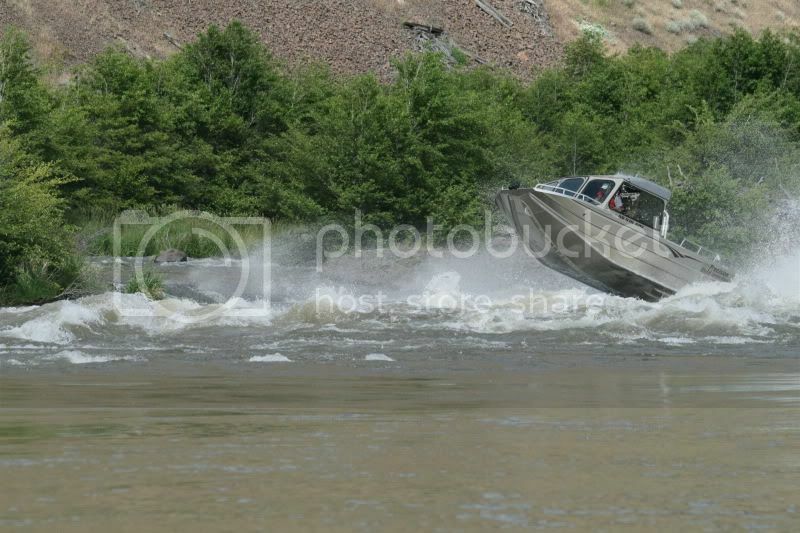 Here I take the high water line, but you can see the correct line against the bank at 17 sec. The current isn't fast near the bank, so little speed is needed (at noob-friendly flow). There are many vids on YouTube at below-noob flows — like at 3500 cfs, which is less than half of what we'd like. These vids are very helpful, but hopefully the flow will be higher. Rafter video of Pine Bar. Flow is much lower than desired for a noob run, but it shows clearly that the slot is narrow. We're thinking more definitely possibly about the weekend of March 30. Meet at confluence at noon on Friday, March 29. Two nights on river, concluding Sunday, March 31. (All times Mountain Time.) From both Heller and Pittsburg, the one-way distance is roughly 80 miles. So budget 80 gallons (plus margin) for a 22' carbed 460 with Berkeley. More or less efficient boats will have a different fuel budget. Turn-around is at Hammer Creek, near White Bird. Fuel will be stashed at Hammer Creek as necessary. Ask and it will be made available. As a last resort, there is a filling station in White Bird, about 1/2 mile walk from a ramp. If there is no water in the river that weekend, the next possibility is April 19 launch. I will likely be in the area for several days prior to the official run. Probably at Pittsburg, or something. We will be favoring VHF radios, but will be CB tolerant, with some being bilingual. A radio is not required, but is nice. Spare hand-helds are available. At ideal noob flows, lexan is not needed (unless you have a propensity for taking waves over the boat). However, lexan becomes relevant as flow increases, and may be a good idea if flow exceeds 20K White Bird. Need is also dependent on your experience and ability to keep the bow high and window dry. So this is one of those "it depends" things. "Should you try this run?" The first time we did this, we had 4 boats, all noobs to this stretch of river, and very noobish regarding water reading. Some love-tapping occurred in Pine Bar because we didn't know the correct line. I was terrified, but it worked out fine. However, significant hits have occurred, so nothing is guaranteed. Just to make sure I am understanding. Dates are open but whatever the dates we are to plan for 2.5 days on the water? Yep, we’re still shooting for March 29-31 for the (un)official run, although this feels like the year that it it may be too cold to produce good flow. Typically a few of us show up a day or two early and play in Upper Hells Canyon. And sometimes we stay after and continue up the Salmon. Tatr, you don't say how new are you to jet boating. What experience if any do you have? If brand new and not really comfortable with your boat or if this is first time running white water, this may not be the trip for you until you get that experience depending upon water flows. Some noobs have done this trip, but not at the high flows. Just my opinion. broncobran68 wrote: Yep, we’re still shooting for March 29-31 for the (un)official run, although this feels like the year that it it may be too cold to produce good flow. Is there a back-up plan if the Mar 29-31 doesn't work? Rolex the operation 2 weeks to the right would be my first guess. Doesn't appear to anything close to 2 years ago. That’ll be up to you guys. I work the following two weekends, then jet boat races, then more work. I plan to spend a week in the area around race time. It’s been raining for days here, can’t believe the forecast isn’t showing much of a rise yet. I predict 12K initially, decreasing to 11K, and good water clarity.